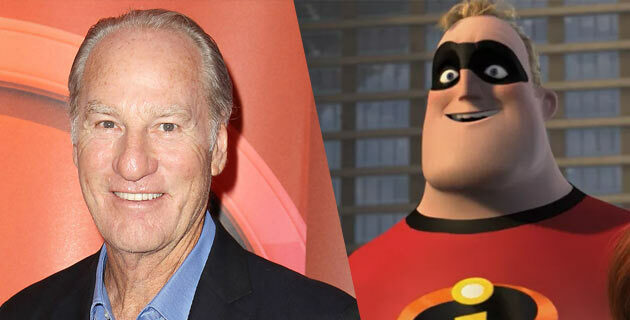 With Disney Pixar's Incredibles 2 now out on digital and home media, Fatherly.com got the opportunity to chat to Mr. Incredible himself, Craig T. Nelson over the phone about the 14-years-later sequel, particularly the parallel difficulties of fatherhood for Bob Parr and real-life (Nelson is a father of three). What comes up in the discussion is an interesting juxtaposition of Mr. Incredible as a leading, powerful and confident superhero versus his home life as a supporting husband and struggling parent. The interviewer sums up the character very simply - "He’s not perfect. He’s not trying to be. He’s Mr. Incredible not Mr. Impossible." - "Every man has to discover for himself what it’s like to be a father. Some of us are pretty bad at it. Some of us are okay. I don’t think we really understand it until we don’t have kids anymore. Hopefully, you don’t wreck it in the beginning and if you do, hopefully, you can salvage it." - "Look, even though he felt hurt by not being chosen to be the leader of this super-power family in this particular case, he still adapts to his role and makes mistakes,” says Nelson, who is clearly deeply engaged with the material. “He’s not failing. He gets frustrated. And I think that is really important." - "For the most part superpowers aren’t part of it. It’s all about the issue of the family itself. It’s all about that question - “Who is Mr. Incredible in this family?”"
Take a read of the entire interview at the Fatherly.com link below to see why the interviewer sees why Craig T. Nelson was the perfect fit-like-a-glove choice to play both Mr. Incredible AND Bob Parr.